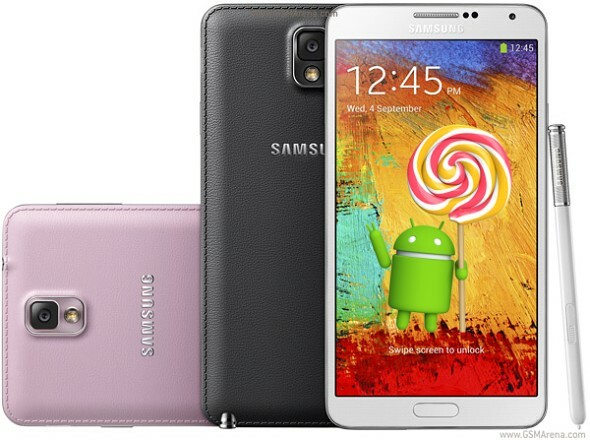 Samsung's last generation phablet flagship finally received the much anticipated Lollipop treatment it was promised. And before the comment section goes up in flames about the on-going soak test in Russia the new ROM is intended for the most wide-spread Snapdragon 800-based version of the device (N9005) and not the Exynos one. The Galaxy Note 3 was supposed to be first in line for Android 5.0 after the current generation Galaxy S5 and Note 4, but interestingly enough it was overtook by the Galaxy S4 LTE-A (I9506). It seems that with recent developments around Samsung and their own in-house Exynos SoC taking center stage in future devices instead of Qualcomm chips the Korean tech giant is naturally focusing on their own architecture and pushing updates along much faster on Exynos devices. This might just be a marketing trick but it is still a fact that Samsung seems to be taking care of that limited line of devices first and then moving on to Snapdragon. Regardless is seems the long wait is finally over for Note 3 users as the package is already available on major carriers in the UK, Austria, Germany, Poland, Switzerland, Hungary and a few other countries. You can keep a close eye on the OTA seeding progress here. So if you are on a Snapdragon Note 3 be sure to check for that update package regularly as the Lollipop goodness is here.